Cosmetic Dentistry is one of the main reasons our patients visit us a Camden Dental Practice, Preston. Cosmetic veneers are one of the more popular treatments we offer. So what are they? 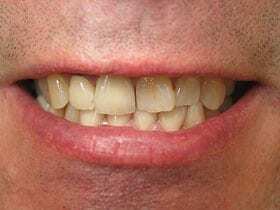 Cosmetic veneers are wafer-thin, custom-made shells of tooth-coloured materials designed to cover the front surface of teeth to improve their appearance. These shells are bonded to the front of the teeth changing their colour, shape, size, or length depending on the type of veneer that works best for you. At Camden Place Dental Practice, Preston, we use hand-crafted porcelain cosmetic dental veneers from expert ceramists, who are expert technicians for detailing porcelain cosmetic veneers for the most aesthetic and natural appearance. 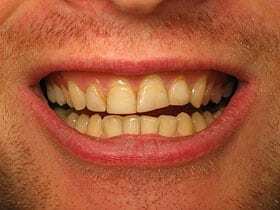 Teeth that are discoloured – either because of a root canal treatment; stains from antibiotics or other drugs, excessive fluoride or other causes; or the presence of large resin fillings that have discoloured the tooth. Teeth that are chipped or broken, making the tooth look whole again. They provide a natural tooth appearance and offer an aesthetically pleasing result. Gum tissue tolerates porcelain well so no irritation should occur. Porcelain veneers are stain resistant, meaning that your teeth stay white for longer. 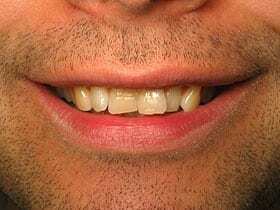 The colour of a porcelain cosmetic veneer can be selected such that it makes dark teeth appear whiter. Cosmetic veneers offer a conservative approach to changing a tooth’s colour and shape; cosmetic veneers generally don’t require the extensive shaping prior to the procedure that crowns do, yet offer a stronger, more aesthetic alternative.